Longer lasting taste and freshness. Use our custom design vacuum pumps to rid unwanted air and ensure your wine is kept fresh and full of flavour. 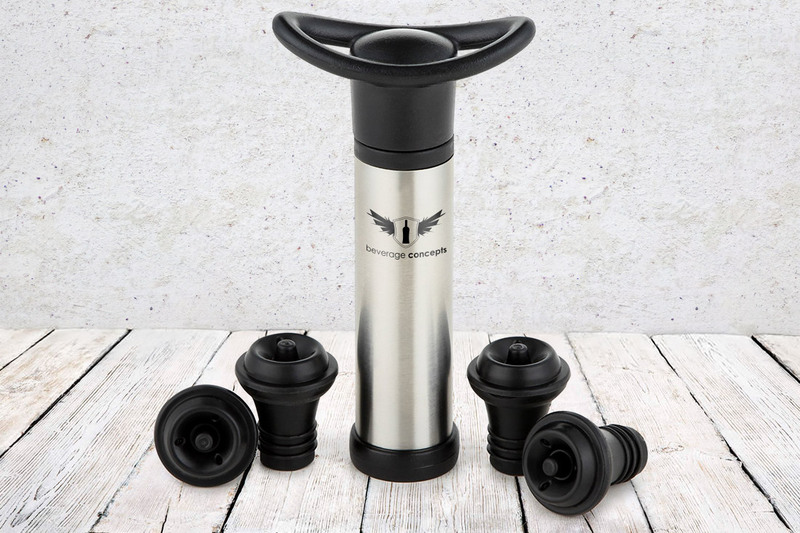 Our popular design is both durable and effective at maintaining a fresh, full-bodied flavour with it’s two button silicone stoppers and reinforced pump shaft. All styles can be custom printed with your logo in a wide range of colours. A great idea for any wine event, promotion or giveaway. Our wine vacuum pumps come in a variety of colours, styles and custom printing options to best suit you unique brand request..